I've been a MAC fan for years, I've probably used the brand since I was about 15. Although in recent years I don't really get excited about it, and I wouldn't even go as far as saying its my favourite makeup brand anymore. However when the By Request Collection came out I just had to get my hands on a few things that got away. Candy Yum Yum came out with the quite cute collection last year but it slipped through the net and I missed it. 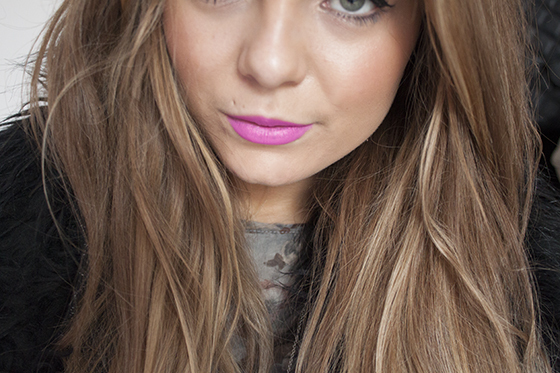 It's a neon, magenta pink with a matte finish, it's almost glowing in it's flouresent brightness. 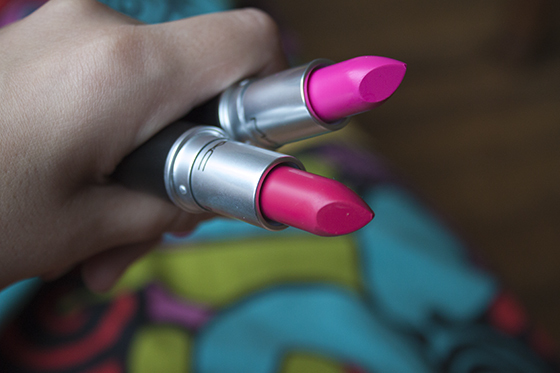 Moxie came out way back in 1999 with the Retro Matte Lipstick collection. 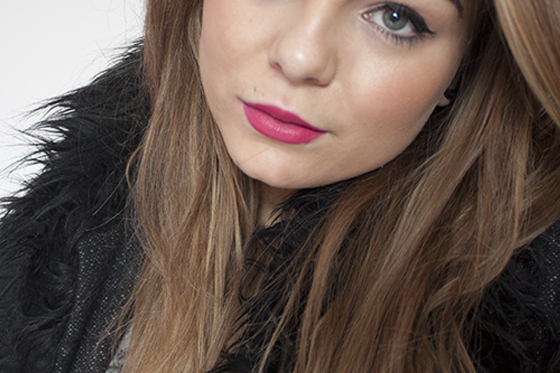 It is a pinky-red matte lipstick which is easy to apply and slicks on opaque in one coat. I also purchased Jete eyeshadow which was from the Danse collection back in 2006, I can't say I wanted this at the time but the fact its neutral and shimmery was enough to sell it to me! The By Requst collection was a great idea, as it was voted for by MAC cosmetic consumers via their Facebook page. There are tons of products that I wish they'd re-release though at some point! Namely Ahoy, There! and Big Bow Lipsticks! I really hope MAC do this sort of thing again at some point in the future as I think its a great way of repromoting those products that go away! I waited years for Lightscapade to be released! If you do have a free minute, please, contact the support from North Arlington High School and Northern Highlands Regional Community. We are waiting for someone to help us with the new rules for students that don't allow using cosmetics. We need an article and these guys can make your essay for you or note your arguments.